144710-I20 is rated 3.3 out of 5 by 12. 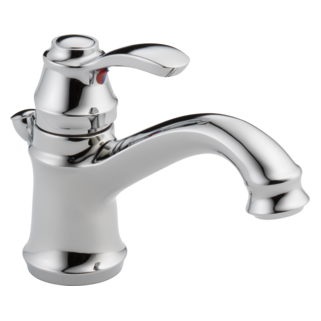 Rated 4 out of 5 by Dlh0 from Great flexibility, efficient water saver. This shower head was in a new house we recently bought. Although we didn't spec it for installation, we'd certainly do so now. We love it and find it to be extremely adaptable for a wide range of showering preference, including use by those challenged by physical limitations. As mentioned by other reviewers I found the unit to have 2 leaks, one between the head and wall pipe, the other at the handheld unit. A simple wrap of teflon tape fixed both. We also only use the middle water ring, the one in the hand unit. We find it to be quite sufficient for shower water volume. The water used at that setting is approx 1.25 GPM. Rated 2 out of 5 by mcar138 from Won't stop leaking Shame on me, I read the reviews, especially jjrpeter's, after my contractor installed the shower and tub combo. I searched for weeks prior to the remolding of my bathroom for a 2 in 1 shower and tub combo until I found the Delta model #14471-SS-120. The first day I turned it on, the spout was leaking after the shower was turned on. I purchase another one of the same product, in case the first one was defective and the same thing happened. Another issue that I am having is the water lever handle doesn't turn any hotter (it's warm). My previous shower (moen) would turn all the way (super hot) as hot as you wanted. I hope these issues could get fixed, because it is going to cost a pretty penny to replace the combo with another brand (tile removal, durock, tile replacement, wall texturing and paint). My recommendation is please read reviews prior to purchasing. Rated 5 out of 5 by Stevo from Great Shower head I bought this 3 month ago and very please of the features and controls of this unit. Rated 3 out of 5 by Gary from style nice Not happy with shower head. It is plastic while other areas are metal. Hand held unit is hard to detach from shower head. Easy to attach though. 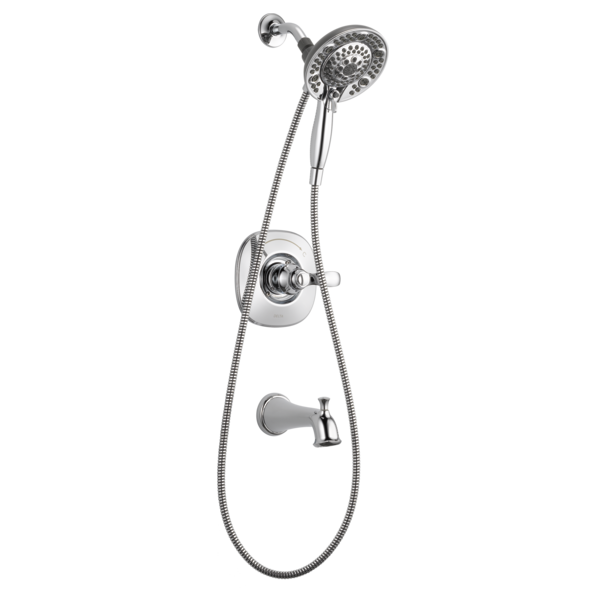 Rated 1 out of 5 by CantShower from Shower Head & Wand Trickles / Doesn't Work Installed by a professional, took it down, checked everything multiple times. It is not the "auto-off" feature either on the wand. HORRIBLE pressure out of the shower head and wand. Only 3/4s of the nozzles on the shower head actually work and there is minimal water at best coming out of the wand. The nozzles are tiny so I'm assuming the water even if it worked properly would be either minimal or painful. Waste of money and time, extremely disappointed. Our water pressure is a bit above normal as well so this should definitely not be happening. Super expensive and still ended up with junk. Rated 1 out of 5 by Tom99 from good looks poor performance Had this installed by a professional plumber. Used it for the first time and the hand shower has no water flow. disconnected the hose and have full pressure and flow. Hook up shower head and get maybe a 1/2 cup water dripping out per minute. Not happy with the product at all. Hello, can you tell me the difference between the Nura and the Monitor models? How do I get the handheld part to work? The shower head is working but we can't get water to come out of the handheld. Is there a matching diverter trim if I install a R11000 diverter valve? How does the shower valve trim plate seal to prevent water from going into the wall? Can I cap the end for the faucet, if I'm only using the shower? Can you tell me why the water is luke warm and never gets hot?